Handprint arts make the most adorable keepsake for family and friends and if you are looking for an idea for Valentines day, we think this handprint heart craft is one of the more adorable ones. The little hands sure grow fast, so why not make a keepsake that will remind you (and them) of just how small they once were. Hanprint arts and crafts are generally more for the parents than for the kids (although we do have quite a few cool projects that older kids can make on their own and leave space for creativity). 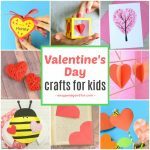 If making in their own, this Valentines day handprint art is more suited for older kids that already have a good grasp on their scissor skills. If crafting with younger kids, you will have to do the cutting. But making something special for your mom, dad, brother, sister, grandparents, aunts and uncles or just friends is rewarding on it’s own. 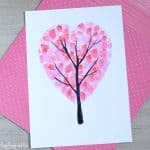 Handprint crafts can be fun to make and this Valentines Day Heart Handprint Art and Craft Idea is pretty easy, fun and makes for a wonderful keepsake. 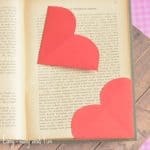 You can tweak this idea to either work as a craft project or make it into an art one, read on for some creative ideas. 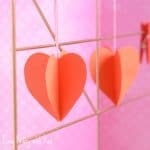 Hope you enjoy this easy Valentines day craft idea! 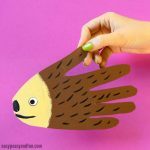 We do not recommend this as a classroom craft for kids that haven’t mastered their scissor skills as teachers would probably get blisters (although you can modify the project a bit to make if classroom friendly even for preschoolers). What you would need to to is to paint the hands and press them down on paper in a heart shape, thus avoiding the cutting and weaving. 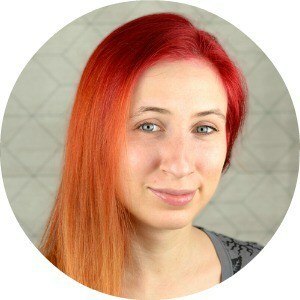 There are two ways to start this project. 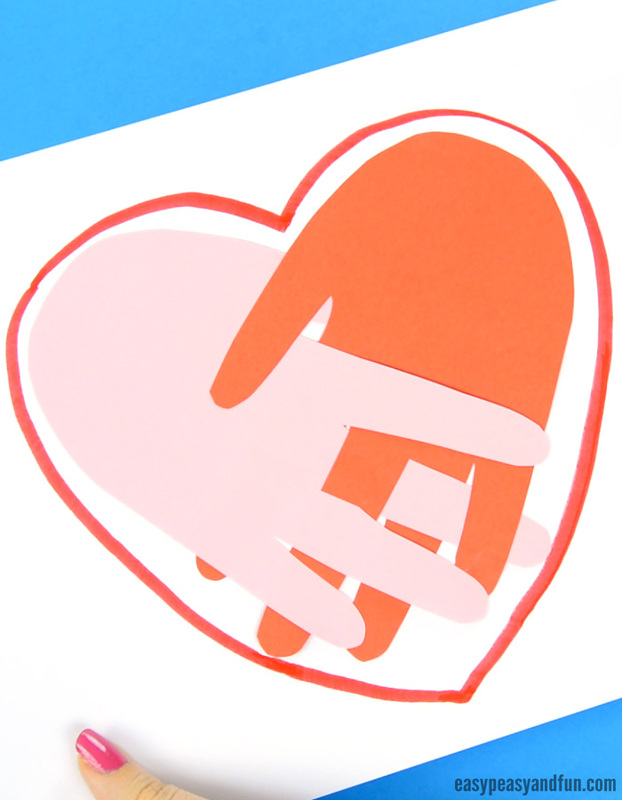 Either trace your right and left hand on red and pink construction paper or have two kids (hands have to be sameish size) trace their hand (each one one hand) on paper to join their hands into a heart. 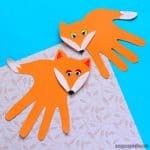 Once you have traced your hands on the paper cut them handprint outline. Put them together to form a heart shape. Glue the thumb of one hand to the other. Now weave some of the fingers and add glue as you go, securing the shape. No need to glue all the fingers together, just enough that the hand stick together. If needed trim the “palms” a bit to make them be shaped more like a heart. You can leave the handprint heart craft as it is or glue the handprint heart on a sheet of white paper and draw a heart around them. Now for some variations for this handprint heart. To make this a bit more arty, have the kids work on two different sheets of paper, decorating them (preferably with mixed media) as they see fit and use those to trace their hands on. This works even more wonderfully if two different kids join hands, each contributing a piece of the heart that is joined together.